The Hershey area in Pennsylvania has a lot of great shopping opportunities but the main shopping draw to this particular area is the Tanger Outlets in Hershey. While this is not the biggest outlet mall here in Pennsylvania, it is a nice one to get some deals. At the outlet mall you will find name brand stores like Ann Taylor Factory Store, Black & Decker, Banana Republic Factory Store, Calvin Klein, Chico's Outlet, Coach Factory Store, Guess Factory Store, J. Crew, Jones New York, Loft Outlet, Lane Bryant Outlet, PacSun, Carter's, Gap Outlet, Justice, Tommy Hilfiger and those are just some of the apparel stores! If you are looking for specialty stores...they have those too! You will find Bath & Body Works, Christmas Tree Hill, Goldtoe, Kitchen Collection, Vitamin World, Yankee Candle, Kay Jewelers, Zales the Diamond Store and the Disney Store. 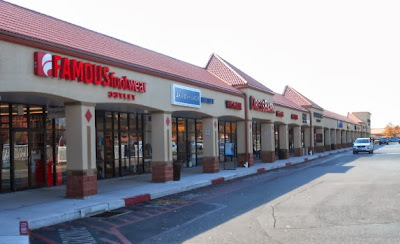 After a day spent shopping...you can grab a bite to eat at many of the area's restaurants like Fudruckers, Dunkin Donuts, Red Robin, Starbucks, Friendly's, Subway and many more are nearby within walking or driving distance. If visiting the area and interested in Tanger Outlets...stop on by their web site to find the outlet's hours of operation and you can print out coupons and browse the sales offers too! Enjoy your shopping trip!